Elegantes Is A Beautiful Responsive Blogger Theme Created For Fashion, Travel, Lifestyle, And Food Bloggers. 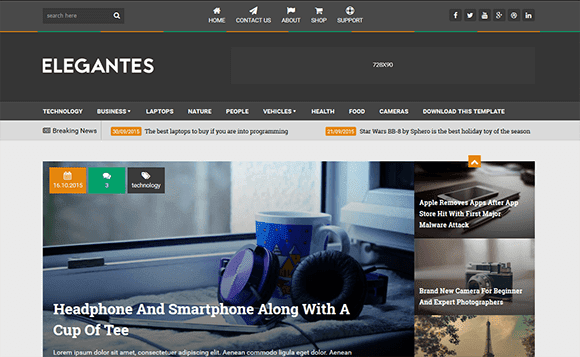 Designed With Readability In Mind, Elegantes Highlights What's Important - Your Content. It's Clean Lines, Excellent Typography And Effecient Use Of Space Make Your Blog A Pleasure To Read And Browse. 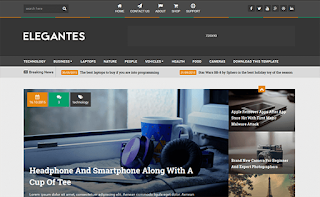 Equipped With A Host Of Userful Features, Elegantes Takes Blogging To A Whole New Level. All Of This Is Enabled By A Robust And Extensively Tested Code. If That Wasn't Enough, Our Effecient, Effective And Timely Support System Makes Sure That You Focus Only On What's Important - Creating Your Next Big Post!